While it seems like cheating the system to some extent, we have no qualms about celebrating two "new year's" in a year. While East Asia is lined up with the West celebrating New Year's Day on January 1st according to the Gregorian calendar, perhaps the bigger celebration comes a bit later to celebrate the Lunar New Year. In a nutshell, the lunar calendar is based on the time it takes for the Moon to go through twelve cycles (New, First Quarter, Full, Last Quarter, New). Since this cycle takes about 28.5 days, the Lunar New Year occurs on a different day each year...........kind of like the Super Bowl, but not really. 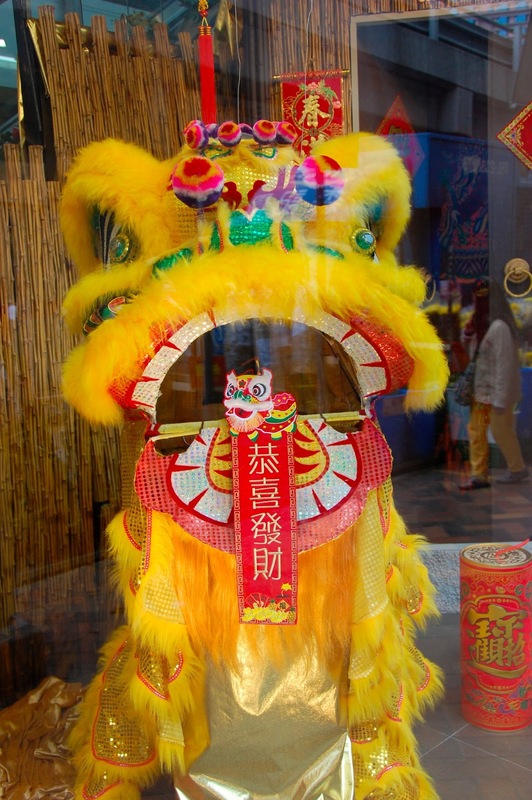 Chinese New Year is a big celebration in this area, but other Asian countries have similar festivities of different names. 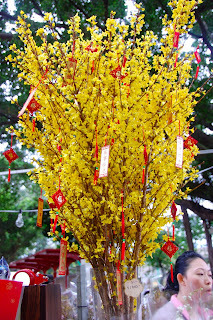 For example, we just visited Vietnam during Chinese New Year which they call "Tet". 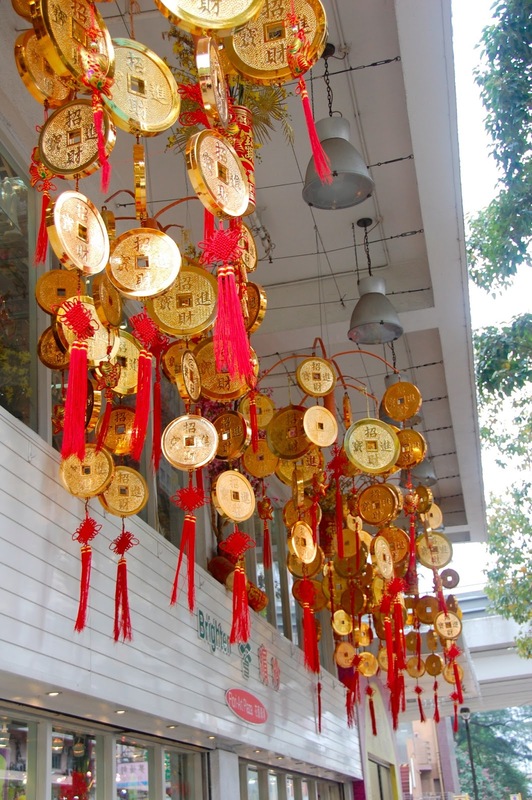 The fun part is all of the decorations and traditions leading up to the new year and especially the rotating Chinese Zodiac. 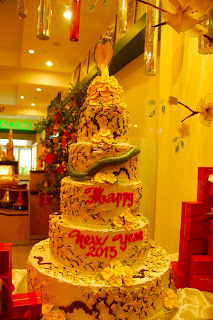 We just finished the Year of the Dragon (mostly 2012) and on February 10th we celebrated the beginning of the Year of the Snake. Of course there are plenty of superstitions about one's fortune during each year, depending on your zodiac sign, and especially about babies being born under each sign. Not sure why, but some of the locals tell me that the year of the Dragon and Snake are good years for boys to be born. After reviewing this list my heart was recently broken as I was under the impression that I was a "Dog", but it turns out that I was born on the last day of the year of the "Rooster". Could be worse............Marisa's zodiac is the Pig! In the following pictures I'll introduce you to just a couple of decorations and traditions that we've noticed this year. The first thing you should know is that whatever the decoration, gold/yellow and red are the colors. I'm not sure about red, but apparently gold makes people think of money and this holiday is centered on superstitions of planting seeds for good fortune in the coming year. Combining the previous decoration with this one, you can have your place covered with golden fruit from head-to-toe. Also ever-popular are the little Mandarin trees. Not sure what this one is, but it seems that people either try to have one at home or at least take a branch of it home. Sort of like a Christmas tree, but I don't think they put presents underneath. We bounced out of town early this year to spend the holiday in Vietnam, but there are usually parades with "dragon dances" using costumes like these. It's really cool to see since you can have 2-man dragons or long ones with a dozen people or more, dancing in unison to drums and symbols. One of the retail stores in the airport had one of these characters handing out chocolates. 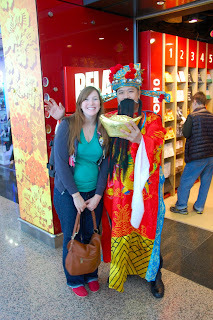 The golden thing he's holding is in the shape of old Chinese money, so yet another symbol of financial blessing. Another decoration are these old, golden coins with squares punched out of the middle. 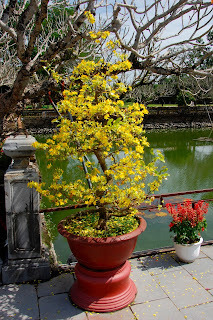 As I mentioned, we spent most of this holiday celebrating the Vietnamese equivalent called "Tet". Below are some of their decorations for comparison. The Vietnamese also try to get one of these bad boys for the house (or similar pink tree). Everyone's thinking about all of that gold that they're going to come across in the next year. I guess the equivalent in America would be a pine sapling, for all of those pounds we're going to lose! It'd be a lot cheaper anyways. In Hong Kong they say "Kung Hei Fat Choi", but in Vietnam they drop a "Chuc Mung Nam Moi" - tomAto, tomAHto, potAto, potAHto.....it all means Happy New Year. From the rooftop bar of our hotel we gazed upon the multitudes that gather along this main street, taking photos in front of all of the flowers and decorations. This is definitely the time of year to be upgrading that Facebook profile pic. We passed by a bakery that went all out with this cobra cake. It's really too beautiful to eat. 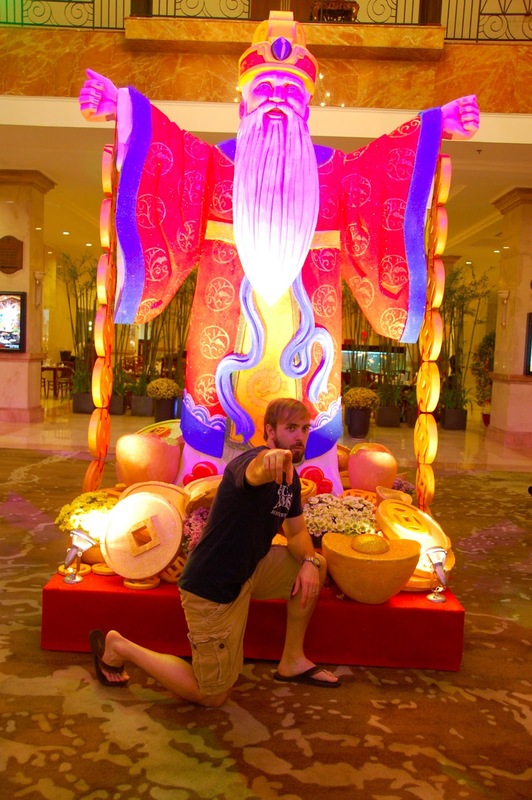 Our hotel in Saigon welcomed you with some sort of wizard/pimp with gold coins falling out of his sleeves. Now THAT's "making it rain". Next year we hope to spend more of the holiday in Hong Kong to see how it's done, but we were still impressed. So happy Year of the Snake everyone. I'd like to give a shout out to all of my Roosters, class of '82. Make lots of gold this year and keep that chin up!